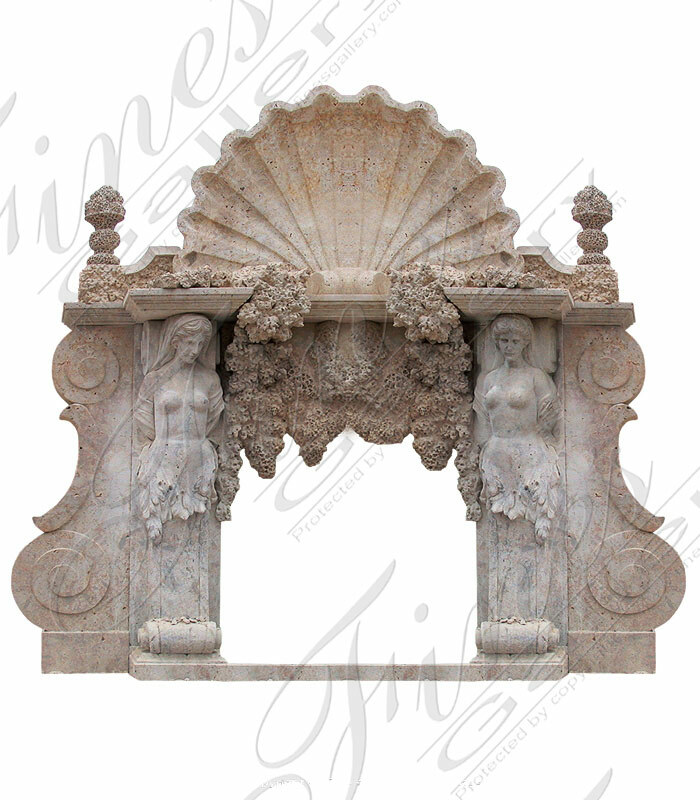 This Fine's Gallery custom design is best described as breathtaking. Two female bust statues are intertwined with sea reefs and a giant shell. 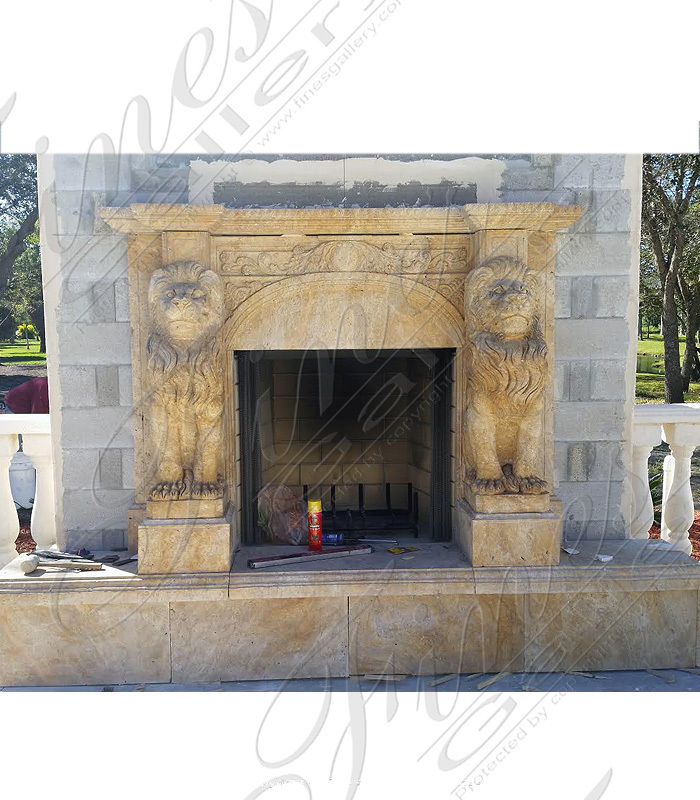 This themed fireplace is one of our many custom designs. 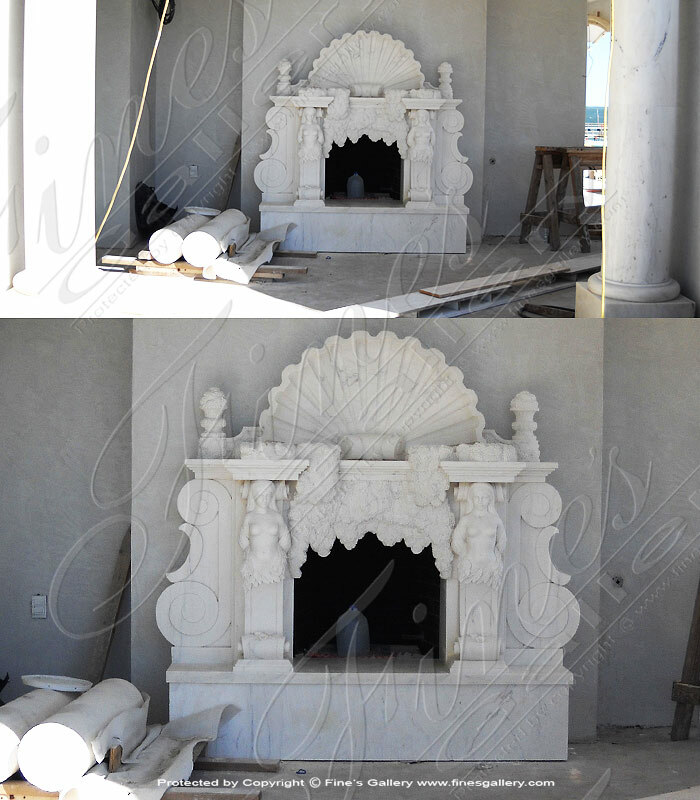 Outdoor Marble Fireplace carved from beautiful white marble.